There is a misconception among people that getting a car loan after chapter 13 is a distant reality. If you are one of them, you may have some reason to cheer about. Nowadays it could be possible to find lenders that specialize in providing post chapter 13 bankruptcy auto loans. Carloansnomoneydown.com can assist you to find chapter 13 bankruptcy auto loan lenders in your state. If you have bought car 910 days before filing chapter 13 bankruptcy then it could be advisable to pay off the loan completely. If you have bought car earlier than that you can think of surrendering it or pay portion of car debt through monthly payment schedule. While it could be possible to repay car loans while in chapter 13, if value of car is less than principal loan dues then court may even reduce the debt. In a chapter 13 filing, you do have the option to keep the car but you also need to ensure that you keep the loan current. If you are able to repay entire car loan while in chapter 13, you can own the car. How to Get a Car Loan While In Chapter 13? If you are thinking, “Can you get a car loan while in chapter 13?” then we can teach you how to get one. To enhance chances of obtaining an auto loan approval in the midst of a chapter 13 proceeding, all you need to do is just follow the below mentioned steps. Obtain consent of car loans after bankruptcy chapter 13 trustee by convincing court that you need a car. Court will let you know how much amount of money you can spend on purchasing vehicle. Contact specialized lenders that are ready to work with individuals who have serious credit issues and the internet may be the best place to find them. Trustee will review or oversee the entire documentation process to make sure that the monthly payments are within the limit sanctioned by court. How To Pay Back Your Chapter 13 Car Loans? In a typical chapter 13 bankruptcy, you could be required to pay back all your debts through monthly payments plans with 3 to year duration. To that effect, as mentioned earlier, you can keep the car if purchased before chapter 13 filing by ensuring that you are current on its payments. In majority of chapter 13 bankruptcy auto loans cases, borrowers repay debt with repayment plan under which they pay monthly car instalment to bankruptcy trustee who directs it to lender. 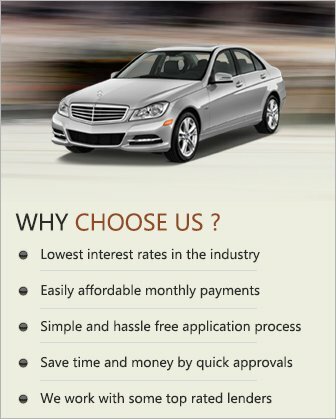 Carloansnomoneydown.com specializes in helping people to improve chances of qualifying for auto loans after chapter 13 bankruptcy through an online process that is simple, easy and hassle free. To know more about our open chapter 13 bankruptcy auto loan services, fill and submit a quick online application form and get connected to an expert. Apply Online Now! How Can I Get A Car Loan After Bankruptcy?